The stark reality is virtually no business use case involving SSL/TLS can be considered totally secure but until TLS 1.3 is release, experts say organizations will have little choice but to study SSL/TLS flaws and risks and stay vigilant. In this expert e-guide, learn the three primary SSL security issues and the common mistakes organizations make when trying to secure their website. 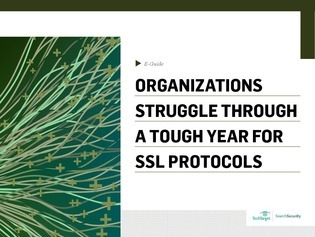 View now and discover how to avoid falling prey to the top SSL/TLS threats.